Just few days ago, Google announced the availability of its new Portable Wireless Charger in Four new Countries - Australia, Japan, Korea and India. The Portable Wireless Charger originally known as - 'Nexus Wireless Charger' was announced in Canada, United States and United Kingdom couple of weeks ago. Recently, the need to have a portable charger for our Smartphone is very high, we don't want to run out of charge; but all the chatting, internet browsing, listening to music, gaming etc.. will definitely drain our battery soon. No wonder Mobile manufacturers are manufacturing more and more portable chargers, we just reviewed the Nokia DC-18 Portable Charger in our last post and here we are again with the Nexus Wireless Charger. 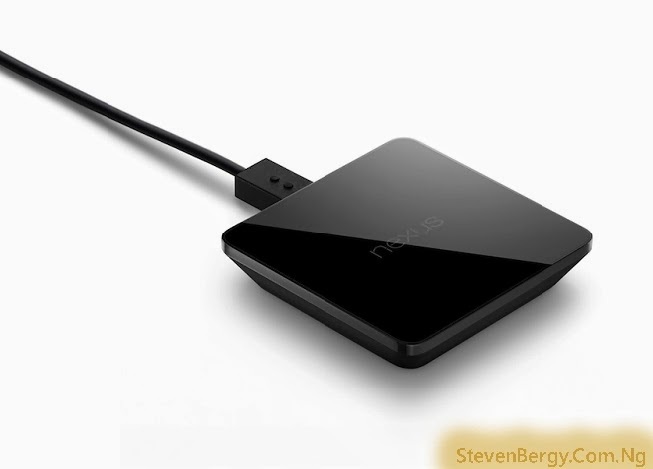 With the Nexus Wireless Charger, you dont have to mess around with cords and plugs anymore. Just place your Nexus device on the magnetic face of the Charger and keep charging wirelessly. You can also decide to place the charger on a flat surface while charging due to its compact design or still keep using your phone while charging it with the charger still placed at the back. Unlike the Nokia DC-18 that has a retractable microUSB which makes it work with many other Smartphones, the Nexus Wireless Charger only works with some certain Nexus devices like the Nexus 5, Nexus 7 (2013 edition) and Nexus 4. 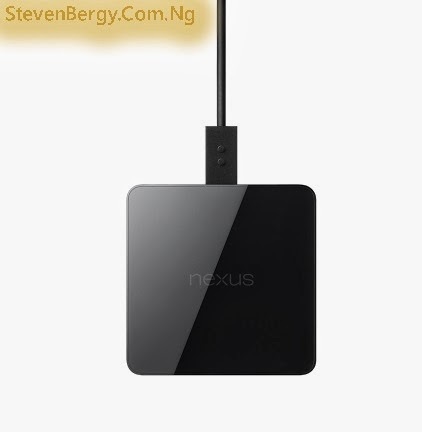 Although, Nexus Wi-Charger is not yet available in Nigeria but if you use a Nexus device and you need this charger, you can still purchase it online via Google Play or Amazon for just $50. 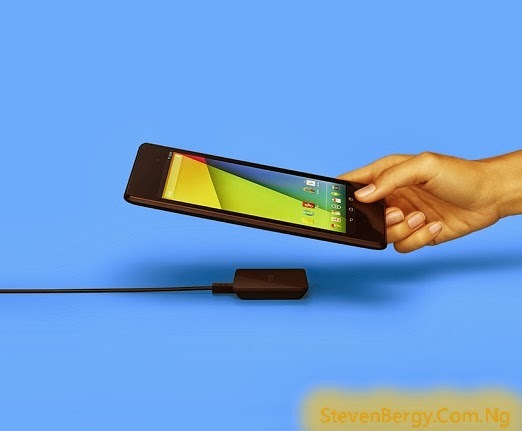 What do you think about the Nexus Wireless-Charger ? Will you buy a Nexus device just because of this charger ? Lets hear from you, drop your comments by using the comment box below and kindly share this update with your friends. Cheers!! !